Rebates Money – Page 5 – Credit Card Promotions, Bank Deals, Chase Coupons, Restaurant Coupons, & Birthday Freebies! With a BankAmericard Credit Card , you can receive up to 0% Intro APR on balance transfers for 18 billing cycles and get the lowest annual percentage rate available among all BankAmericard products. This applies to any balance transfers made within 60 days of opening your account. In addition, this card will enable you to save on interest when you transfer higher rate balances. Manage your account anytime, anywhere with mobile and online banking, not only that but, you’ll receive a very attractive no annual fee, making this such a simple unique card for all of your balance transfer needs. With a BankAmericard, you can earn up to a 0% APR on Balance Transfers for 18 billing cycles! Plus, earn enjoyably low annual percentage rates. This is a simple card that offers an astounding 0% APR on balance transfers, but it may not be worth it if you don’t take advantage of balance transfers. Don’t forget to check out our full list of Credit Card Deals for all of your credit card needs! Open up a Asiana Airlines American Express Card from Bank of America and you can get up to 10,000 Bonus Miles after your first purchase. Earn 3 miles for every dollar you spend on Asiana Airlines purchases, 2 miles for every dollar you spend on gas and grocery store purchases, and 1 mile for every dollar you spend on all other purchases. The annual fee is $99 but every year you will get 2 Asiana Airlines lounge invitations, a 10,000 bonus Miles certificate, and a $100 automatic rebate on Asiana Airlines tickets. So if you travel on Asiana Airlines often, this card is perfect for you! With an American Express Asiana Airlines Card, you can earn up to a 10,000 bonus reward points, when you make your first purchase. Plus, earn extra miles with each purchase. Enjoy American Express’s membership program, save more on flying with Asiana Airlines when you sign up for an American Express Asiana Airlines Card. On top of that, you can get so much more from flights, hotels and vacations! Don’t forget to check out our full list of Credit Card Deals ! 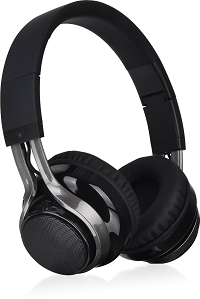 Amazon has LUXA2 Lavi S Bluetooth Over-the-Ear Headphones w/ 4 Watt Duo Speaker on sale for $23.99. Shipping is free with Prime or if you spend $35 or more. Superior triple mode technology: wireless headphone, aux-in play, and duo speakers in one. Effortlessly stream high-quality tunes with maximum ease with this lightweight durable and compact headphone, making it the perfect travel and sports companion. Optimal sound & effortless control: powerful 2 Watts+2 Watts external speakers around your ears create ultimate music experience. Easy one-tap switch to share music with friends or solo listening. Aux-in mode for wired play when a line-in is preferred. Long lasting playtime: Hi-grade battery provides up to 30 hours playtime (headset)/ 3 hours playtime (speaker) and requires only 2 hours to fully charge (0-100%) meaning you’ll be ready and raring to go in next to no time. Engineered in style, function, and comfort: Built-in microphone, folding and adjustable headband, plus powerful 40 mm neodymium drivers give the most dynamic user-to-music experience with perfect balance across the bass range, mid-range and treble tones. Black Shield Design. Featured in black on black surface and matte black finish with Fireproof ASB UL94 V-1 finish for heat resistant and high end touch. Amazon.com has 3-Pack 80-Count Lysol Disinfecting Wipes (Lemon & Lime Blossom) on sale for $9.47 – 5% Subscribe & Save – 25% Off coupon found on product page = $6.98. Shipping is free while Subscribe & Save is available. 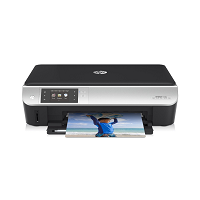 Deals on Broadway via Amazon.com has HP Envy 5530 Wireless AIO Color Photo Printer (Manufacturer Refurbished) on sale for $44.99 – $10 promo code HF8M3B3Q = $34.99. Shipping is free with Prime or if you spend $35 or more. Put your best print forward – create borderless, lab-quality photos and laser-sharp documents with ease. Both sides of savings – save time and paper with automatic two-sided printing. Worth more than words. Create photos that launch into fun, shareable videos with HP Live Photo. Register for a Celebrity Cruises Visa Signature Credit Card and receive 10,000 MyCruise Points after making your first transaction. On top of that, receive a $300 discount off a future cruise of at least 7 nights or more in a Concierge Class stateroom, after making $5,000 in transactions within your first 60 days. With this card, you will earn double points on qualifying Celebrity, Royal Caribbean and Azamara purchases. You will also receive 1 point on all other purchases. Once you accumulate enough points, you can redeem them for cruises, stateroom upgrades, onboard credits and amenities on all three cruise lines. This is a rewarding credit card for cruise lovers and vacationist. With the Celebrity Cruises Visa Signature Credit Card, you can receive 10,000 MyCruise Points after your first purchase. If you go on cruises often, then you can stack up a lot of points because you receive double the points on qualifying purchases. Remember, this card does have a annual fee of $69, and judging by it’s annual fee, this card may not be for everyone. if you’re not interested, don’t forget to check out our full list of Credit Card Deals for all of your credit card needs. Woot via Amazon has Ooma Telo VoIP Phone System (Refurbished) on sale for $49.99. Shipping is free. Built-in 900MHz dual-core processor provides the power for Ooma PureVoiceTM including HD Voice and adaptive redundancy for a more natural sounding voice without stuttering or interruption. 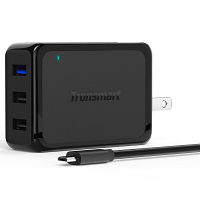 Amazon.com has Tronsmart Quick Charge 2.0 42W 3-Port USB Wall Charger + 6′ Micro USB Cable for $19.99 – $10 w/ promotion code 3USBWALL = $9.99. Shipping is free with Amazon Prime or if you spend $35 or more. 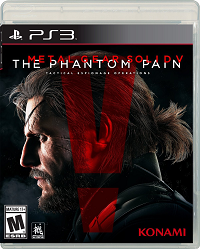 Amazon.com has Metal Gear Solid V: The Phantom Pain (PS3) for $16. Shipping is free with Prime or if you spend $35 or more. Konami Digital Entertainment continues forth the METAL GEAR SOLID V Experience’ with the latest chapter, METAL GEAR SOLID V: The Phantom Pain. Ushering in a new era for the franchise with cutting-edge technology powered by the Fox Engine, MGSV: The Phantom Pain, will provide players a first-rate gaming experience as they are offered tactical freedom to carry out open-world missions. Sign up for the Norwegian Cruise Line World MasterCard Credit Card today and you can receive 10,000 Bonus WorldPoints points upon making your first transaction in the first 60 days, which is enough for $100 off your next cruise. You can redeem points for stateroom upgrades, travel discounts, on-board credits, car rentals, hotel stays or gift cards for over 100 top retailers. You’ll also get exclusive redemption opportunities for last-minute cruises and other special offers. Earn double WorldPoints points on Norwegian purchases. In addition to that, with every swipe of your card, you will earn 1 point per $1 spent, so enjoy the luxury that Norwegian has to offer with a World MasterCard. The Norwegian Cruise Line World MasterCard Credit Card is a astounding card for families who enjoys the luxury of Norwegian Cruise. If you sign up today and make a purchase within the 60 days, you will receive a bonus of 10,000 Bonus WorldPoints. On top of that, take advantage of this travel rewards card and it’s attractive no annual fee feature! Also, Don’t forget to check out our full list of Credit Card Deals for all of your credit card needs.